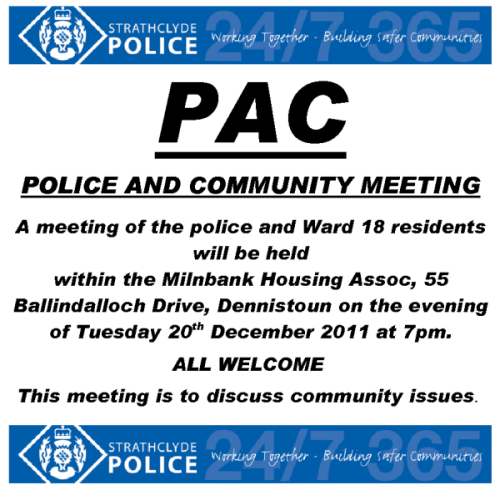 The aim of the meeting is for local Ward 18 (East Centre) residents to raise and discuss issues with the local Police team. All are welcome to attend and share their concerns and opinions. Click on the image above, or here, for a PDF poster version suitable for printing. Not sure if you’re a Ward 18 resident? Check out our ‘Locality‘ page for details of your local community council and city council ward area, or download a PDF map of the DCC/Ward 18 area directly by clicking here (note: ~2MB file).